You can whip up these Layered Nana-Peanut Butter Treats in just 10 minutes. Seems kind of crazy that they look so fancy and labor-intensive, doesn't it? Beat pudding mix and milk in medium bowl with whisk 2 min. Stir in peanut butter. Spoon into 6 dessert dishes alternately with layers of bananas and nuts. 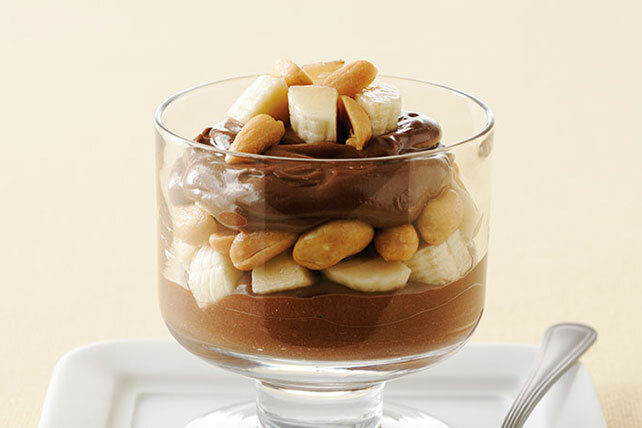 With their built-in portion control, these pudding favorites make great treats.